Manicures used to be a luxury enjoyed by the wealthy and elite performed by servants over 5,000 years ago, much has changed since then, now many people enjoy the beautification and care of the hands, feet, and nails by professional nail technicians, we hope you enjoy feeling and being modern day royalty in the 21th century, we are glad to offer all of our services to you! Our Vision at A Harmony Nail Spa is to be #1 in customer service & client care, to serve each client to the best of our ability and to go beyond the zone of the ordinary to the extraordinary, where everything is possible. We appreciate our clients so we aim to rise above the everyday mundane to the spiritual. We hope to promote a sense of inner balance, peace and harmony, to restore a sense of wonder, hope and joy, and to impart the wisdom that miracles happen, angels are real, and life is good! 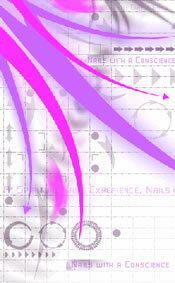 We strive to promote the health, beauty and wellness of your Body*Mind*Spirit beginning with your nails. We Specialize in combining creative techniques, with natural healing therapies for your natural nails or enhancements. We tailor each service to fit your lifestyle and needs. We hope you enjoy A Harmony Nail Experience. As an American Manicurist with over 14 years of professional experience, Paula brings her vast knowledge, talent, and expertise to A Harmony Nail Spa. She is licensed (M-1015) and available Tuesday thru Saturday from 9am-5pm or by custom appointment.